Just like pizza or bagels, coffee is a spectrum. There is no “best bagel” or “best pizza” or “best coffee” because there are so many ways to make them, so many styles and executions. Okay, you think, so there are different categories: Neapolitan pizza, Domino’s (hell yeah), single origin peaberry, Dunkin…Can’t there be a best in each sub-category? What if I just prefer watery cart coffee because it’s comforting? That is somewhat the function of De Gustibus Non Est Disputandum: to each his own—a choice, a preference. You pick yours, I pick mine. We may disagree on the methods of preparation and the quality of the ingredients therein, but ultimately your personal, subjective favorite that you like to label the “best” comes down to an alchemy of factors, including your family history, your net worth, and whether you were breastfed (just kidding!!!!). Okay so coffee. There are so many kinds, different executions, various roasts and blends. Most coffee tastes burnt (overroasted) and bitter (overextracted). But remember, it’s a spectrum. It’s hard to see that because most of us live on one very narrow end of it, where if you zoom in really close, you can focus on stuffy details like roast color and brew time and the setting of your Burr grinder. But what you are not seeing is the vast universe of coffees. There is more to coffee than hand-picked cherries and swan-necked kettles. You are so beset with your coffee privilege, you don’t even realize. All of the coffee that coffee nerds like to argue over—every single cup of individually brewed Philz and Blue Bottle coffee slurped down by all those tech workers in the Bay Area—is exactly the same. It’s plain and simple, real coffee (some may argue, “true coffee”). But on the larger spectrum of coffee, it’s something more than that. It’s Real-real. Let me back up. I think the first person I learned about coffee from was my father, who came of age in the era of food miracles like canned soup and instant coffee. Nescafé. Folgers instant. Maxwell House in a glass jar. Those dehydrated coffee crystals that look like rocks on Mars. What a miracle! What a convenience! Perfect for wartime. Lovely sachets for travel. You can still get them everywhere, including possibly those coffee dispenser machines you only see in hospitals. No more need for mother’s pesky Chemex (everything old is new again), no need to buy towers of paper filters. This is what’s called Fake-real, and my dad used to drink it all the time, at all hours. No one else in my house ever drank coffee, so that was his efficient, one-man solution (most of the time he wouldn’t even boil the water, but heat the cold tap-water mixture in the microwave). It’s still that same hot brown water that gives you a kick from caffeine, but it isn’t “brewed” so much as it is rehydrated and heated. It’s the instant ramen of coffee. Today, my parents have a Nespresso Pixie machine, the bougier, more recyclable version of a Keurig (it also tastes way better). I know they seem to have the element of fake, but I would still classify these coffee-pod machines as Real-real. I could be pressed to consider a subcategory: Easy-real—still made from ground-up coffee beans run through with hot water, significantly streamlined, usually at the expense of taste. Into this category would also go the tinned ground stuff like Café Bustelo and Maxwell House and Chock full o’Nuts. Traditional decaf coffee, which is of course an oxymoron (“What’s the point?”), is Real-fake. You still went through the motions and got none of the results. Why not drink hot water? The final and saddest category of coffee is, you guessed it, Fake-fake. 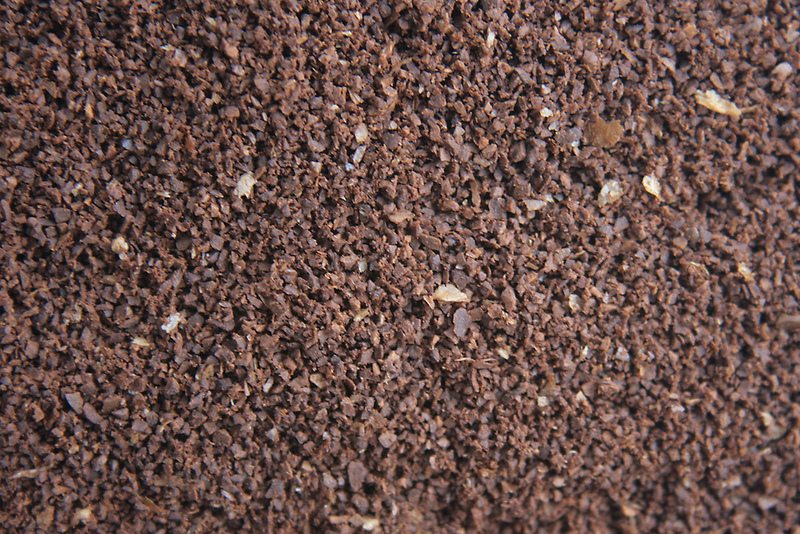 Decaffeinated coffee crystals. You may remember it as Sanka.